In this edition of CareNovateMag’s medication management tips and strategies for caregivers, we offer a list of available resources regarding drug interactions. Drug-drug interactions occur when two or more drugs react with each other. This drug-drug interaction may cause you to experience an unexpected side effect. Drug-food/beverage interactions result from drugs reacting with foods or beverages. 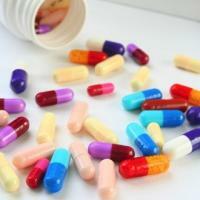 Drug-condition interactions may occur when an existing medical condition makes certain drugs potentially harmful. Unfortunately, many family caregivers need help. Coordinating doctors’ visits, managing multiple medications, and filling pill boxes can be daunting and confusing. The good news: you have your local pharmacist and your doctor to ask questions. 1. Drug.com Drug Information Interactions Checker: This free tool will explain how each drug interacts, the level of significance of the interaction (major, moderate or minor), and in certain cases, can offer the recommended course of action to manage the interaction. The Drug Interaction Checker will also display any interactions between your chosen drug(s) and food. 2. Drugs.com Pill Identifier: Pill Identification Wizard (Pill Finder) can help you match the imprint, size, shape, or color and lead you to the detailed description in our drug database. 3. Medscape Reference Drug Interaction Checker: Another free tool, very simple and easy to use. 4. CVS Pharmacy Drug Information Center: If you CVS is your pharmacy, then check out their drug information center. A great resource for drug interactions, it also has a pill identifier and drug information if you need it.